Whether we love them or not, they are the leaders of tomorrow and our students today. They were born into a fast-paced, technology-dependent world that’s rapidly changing before our eyes. So, why would we still teach the same way as 10, even 20 years ago? 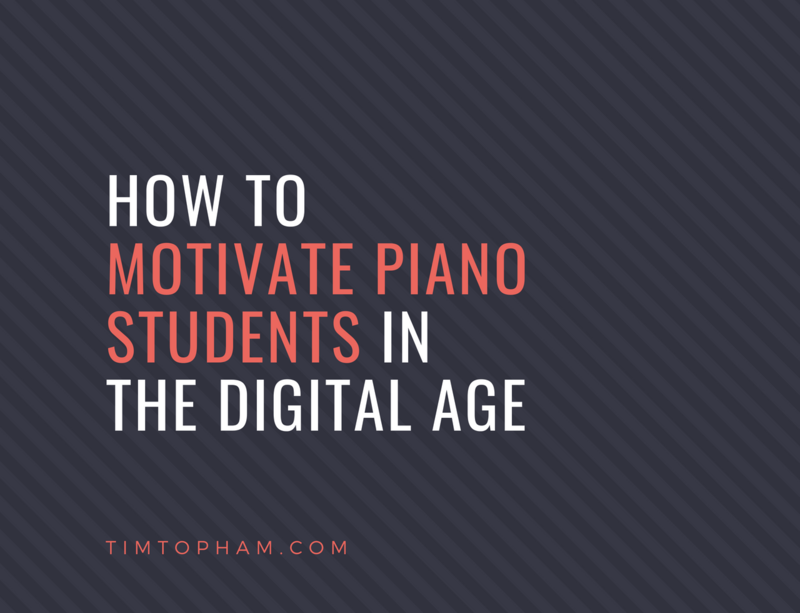 Is that really the best way to motivate piano students? Part of this might stem from the mystery that surrounds the new generation: Who is Generation Z? What are the differences and how do we speak their language? This article lays down the data about Gen Z and discusses how new solutions like Better Practice are being developed that are working to reach the kids of today. Let’s motivate piano students once and for all. 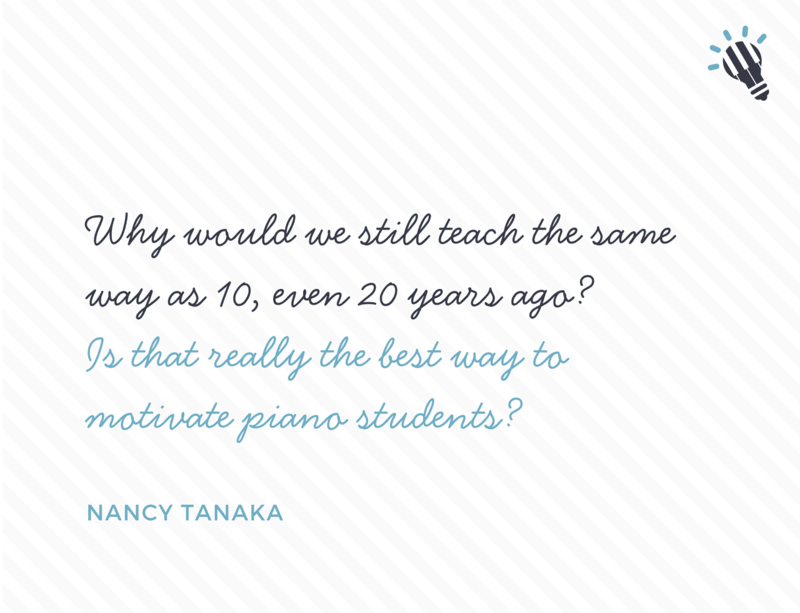 Read more: What does the future of piano teaching actually look like? Us teachers agree that practice matters most, but it is also one of the toughest issues to tackle – mainly because we can’t physically be there to coach the student through every day of their home practice (or even make sure that they do it). Even tougher is the issue of how to motivate piano students through the week until the next lesson. Traditionally (and still so), practice is lonely. It’s tedious, especially for a child. Sometimes children hit roadblocks in practice, get frustrated, and don’t practice for the rest of the week. Then, parents have to nag and ‘practice’ just becomes an unpleasant experience all around. Another chore. Practice also has to compete with so many other after-school activities that we have to make it interesting enough to be a priority. These other competing activities are usually very social – think sports, clubs, and classes. But we’ll come back to this later. This traditional format of practice is becoming increasingly difficult for the younger students today to want to do – and that’s when the sad groans of ‘practice is boring’ start to ring out. So, let’s take a closer look at these young students and pinpoint what’s different about them so we can find motivating solutions that work. Let’s motivate piano students once and for all. Millennials (born approx. 1981-1995) are considered ‘digital natives’, but they grew up alongside the rise of technology. I’m a millennial; I was born into a world without Facebook or touch-screen iPhones. I remember even being blown away when DVDs came around (which are already almost as useless as VHS tapes!). The majority of Gen Z on the other hand (born approx. 1995 – 2010), has entered right into the midst of it, bombarded with touch screens, instant communication, and smartphones from the moment they were born. They don’t know a world without this technology. A whopping 77% of Gen Z prefers to use technology to help them accomplish their goals’ (Schawbel). A majority of this is using Youtube or social media for research, while a third of them turn to online lessons to help them learn something (source below). Did you also know Gen Z spends about 41% of their time outside school on computers and mobile devices? For millennials 10 years ago, that number was only 22% (source below). We can try to fight it and give them assignments that attempt to pull them away from their screens – or, we can meet them where they are and make the most of it. They’re going to be online anyway – why not make it productive? There are a lot of ways you can supplement their assignments, like using apps for sight reading, theory and ear training, as well as websites that provide sheet music and educational games. My personal favorite is to provide them with some great videos on YouTube to get them inspired – and hopefully they get hooked and discover some more great stuff they want to learn about while browsing! With a practice app like Better Practice, you can gather these videos, links, and sheet music into one place so they can easily reach them and spend more time practicing! Here’s a commonly heard one: Gen Z has short attention spans. They live in a never-ending flow of communication and updates. However, there is a silver lining: not only do they flit from thing to thing very quickly – they can digest information very quickly because of it. Snapchat is a popular messaging app where each of your messages disappears in 10 seconds or less. That would have been a weird, inconceivable idea even 10 years ago – but Gen Z loves it. If a Snapchat bores you, tap! It disappears forever. If a video isn’t interesting, tap! On to the next one. If music practice is proving to be boring…you get the picture. This is also where competition for a child’s time comes into play. Children have a billion activities to do after school: sports, dance, tutoring, playdates, homework. Music practice is just one of those. And it’s one that is, unfortunately, often seen as ‘optional’ (in contrast to sports practice or tutoring, which they are obligated to go to at scheduled times). If it’s not required or something they want to be doing (playdates, surfing the web, etc. ), it becomes really hard to get them to do it. 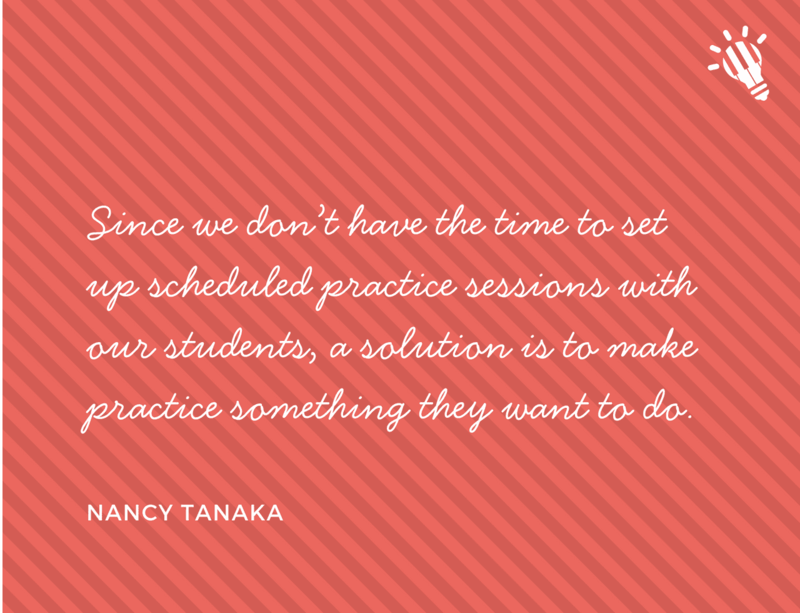 Since we don’t have the time to set up scheduled practice sessions with our students, a solution is to make practice something they want to do (or at the very worst, something they don’t mind doing). Short attention spans and quick digestion of information could be an opportunity to learn in a different way. Instead of requiring one long period of practice a day or assigning one big piece to learn (this can be very daunting and tedious), assign different activities in different areas. Short bursts of intense focus are proven to be much more effective than long periods of half-hearted, wandering focus. The idea is to provide a variety of assignments so that if they’re slowing down on one assignment, they can pick up another one and jump back into it. Some examples: give theory game assignments online along with workbook material. Require they finish a couple levels of that sight-reading app. Have them watch a video of someone playing a piece before they read through it, or find their favorite interpretation of the piece on YouTube. Time goes by faster, meaning they are immersed in the overall practice experience for longer. And if they get stuck on one thing, they can work on another – which is much better than stopping completely. Read more: Organise your iPad and make piano lessons fun | Free Download! 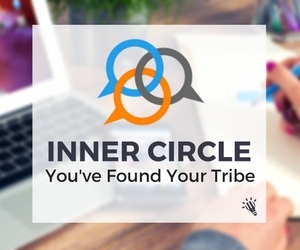 Millennials were the first to experience social networks, but for Gen Z, it’s ubiquitous. Having a social media account of some sort is now the norm; people can now connect with and learn from others so much more easily than before. The average age to get your first smartphone is now 10 years old, and by the time these kids turn 11, 40% will also have a social media account (Donovan). To Gen Z, communicating and connecting online is second nature. Now, what if there was a way to make this traditionally solitary experience of practice into a social one? Imagine your studio as a community – where your students could interact with each other, learn from each other, and compete with each other. Students today crave social connections because it’s such an expectation – and this is where their other activities like sports and the time spent online (on social media) are winning (remember when I mentioned that these activities compete for a student’s time?). There’s very little drama and fun in playing by yourself all the time – which means there’s very little drive or motivation to want to keep doing it (unless they are already very eager to improve on their own). With technology nowadays, practice doesn’t have to be sitting in front of a music stand all alone. Now people can create this sort of practice environment with the Better Practice App. I’m not talking about simple practice trackers or an online assignment system. This app specifically focuses on practice in the home and addresses all of the roadblocks and motivation issues I described. Studios can create a community where students see each other’s practice habits and regularly encourage each other to practice more. They can share recordings of their practice, have competitions, and earn badges for being the top in their studio. Students can even reach the teacher directly through the app so any questions they’re stuck on can be resolved immediately. Online elements (like backing tracks or those inspirational YouTube videos) can be incorporated right into the assignments. And the best part: teachers can see the data so they know concretely whether a tactic is working or not. It’s important to understand how people (and the world) are changing and find ways to fill in the new areas that are lacking. The landscape of practice is always changing, and as expectations of kids change through the years, we must allow ourselves as teachers to be flexible as well. For many teachers that just want to nurture students to love music (not necessarily produce the next virtuoso), the goal is to just get them to play! If we get them practicing and immersed, the rest will follow – but that all begins with understanding differences and not expecting that what worked for us when we were growing up will work for them. Having trouble motivating your students to practice? Better Practice addresses the practice needs of Generation Z students, engages parents and uses proven learning techniques to get great results. Nancy Tanaka is a jazz pianist with 12 years of classical training under her belt. Growing up, she saw that the traditional lesson format was broken and reaching less and less kids (she saw all of her friends drop out of music one by one until she was the only one left). Today, she is a part of the team at Better Practice where she works on solving motivation issues in music practice and helps teachers facing the same retention/motivation issues daily.